What a treat to dive straight from one brilliant book into another. Just pages into Emily Bitto’s debut novel, The Strays, I was utterly enraptured. It is a very interesting theme that seems to be transpiring this year indeed – the books that have mesmerised me most have each been first novels penned by emerging women writers. I am sure there must be something meaningful in that! 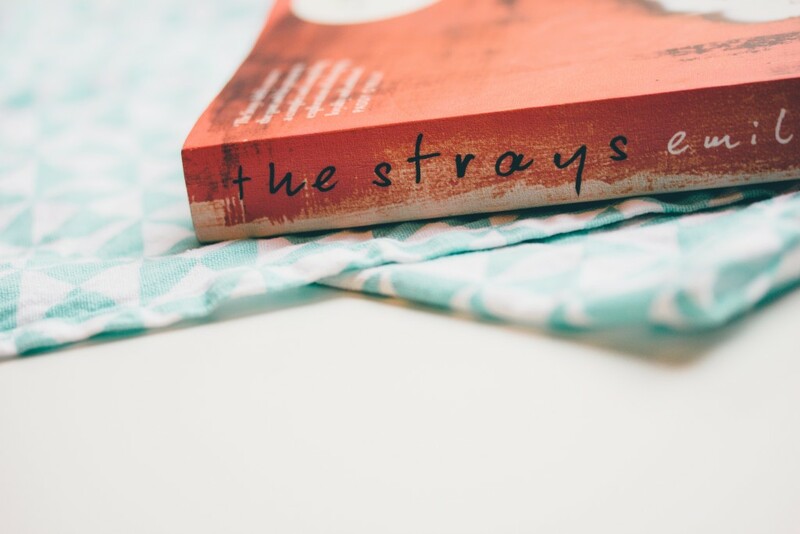 The Strays takes place in Melbourne, my beloved home, albeit in the 1930s. A young girl named Lily befriends Eva, who is one of the three daughters of controversial modernist painter Evan Trentham. Very quickly Lily slips into the life of the Trentham family – a life that is a very different to the one she is used to. Their home is big, old and exciting, surrounded by sprawling gardens, orchards and paddocks. Eva and her sisters are left to run wild under the decidedly disinterested eye of their parents, who are rather more livened by the idea of fostering a community of creatives also willing to push the boundaries of conservative Australia. Over the course of several years the Trentham home grows, a ramshackle brood of artists and children in which Lily yearns to belong. She is enamoured by and envious of these bohemian characters. It is decades later that we join adult Lily in a recollection of what eventually became the most painful and haunting period of her life. For me, Bitto truly nailed the character of Lily and I couldn’t help but keenly connect to her depiction of childhood friendships. This book makes me remember that intensely peculiar feeling that came with visiting the home of a school friend; seeing another kid’s ordinary life always had an element of the extraordinary to it, even if it wasn’t quite as exotic as the Trenthams’. I recall the strange role of power that friends always took on when playing host, to whom I was suddenly at total behest – and on top of that, bearing a kind of neutral, invisible witness to the parental power structure under their roof. I still feel an embarrassed, awkward pang to remember my childhood self watching on idly as a friend was berated or punished by a parent (sometimes for deeds in which I was also inherently involved! 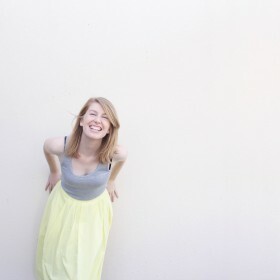 ), or on the contrary – seeing a friend talk boldly back to a parent in ways I’d never imagine. The 1930s, outer-Melbourne setting also rang strangely similar to the kinds of places I found myself in as a kid who grew up in rural Victoria: big old country houses with plenty of room for mucking about outdoors. It was quite unfamiliar territory, reading a book that indulged both the country kid in me as well as the accustomed Melbournian. Knowing the location and history behind every suburb and street name gave this story such a deeper level of understanding, and it makes me feel rather sheepish to realise I just don’t read a lot of local fiction. After The Strays, I will be making a more pointed effort to do just that. There are many cups of tea in The Strays. There is lots of coffee and wine and whiskey, and several boiled eggs. Not much baking. 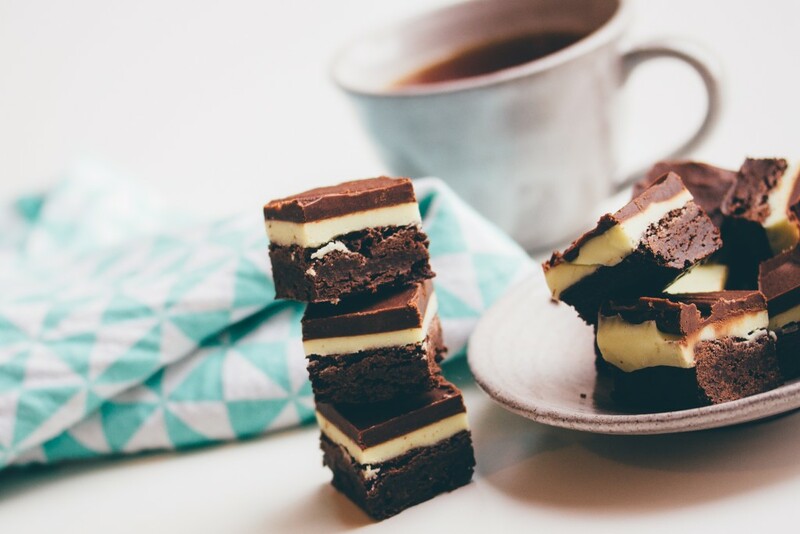 But somehow, these ‘grasshopper brownies‘ from Smitten Kitchen came to me instantly and I couldn’t shake the idea of pairing them with this book. 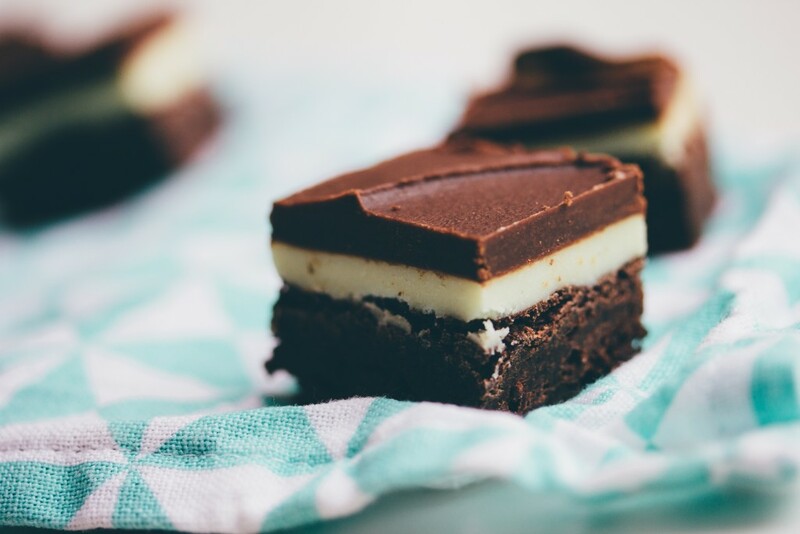 Back when I was a kid having sleepovers at friends’ houses, one friend’s mother in particular made a sensational peppermint slice that I was practically obsessed with. Whenever it appeared, I ate a lot of it. 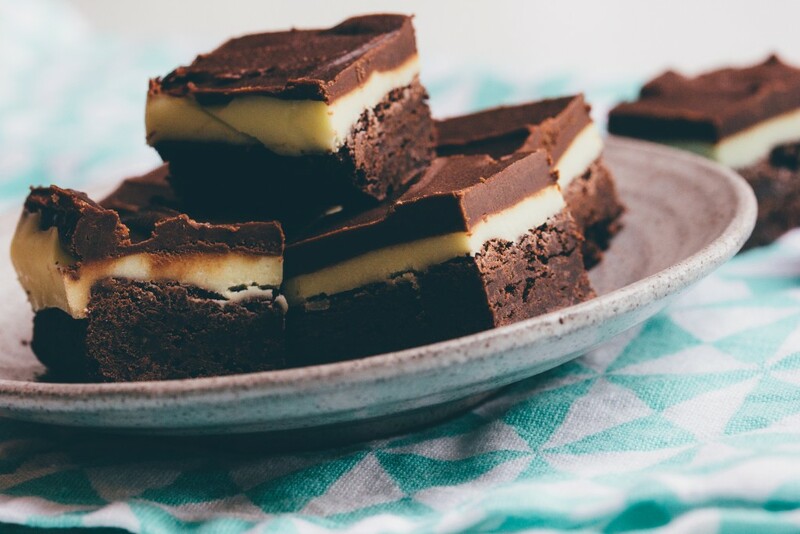 A little childhood excitement pricked in me when I stumbled across Smitten Kitchen’s grasshopper brownie recipe some time ago, because I thought perhaps I’d found my adult answer to that delicious memory. Of course, as these things often go, it remained unbaked in my Bookmarks folder for years. I was just waiting for the right inspiration, it seems. I know a brilliant book by a very particular feeling. It’s a yearning: I become insatiable, wishing I could force myself awake long enough for just another chapter, or that I could skip my train stop and keep reading until the end of the line and back again. I want to completely, ferociously devour every word. Alas, this yearning is twofold. Where one part of me yearns for the final page, another part pleads to linger in the story. I want to hover endlessly in these incredible, intangible worlds. It is a futile idea, of course. I finish a brilliant book soon enough: wonderfully satisfied, and wonderfully solemn. 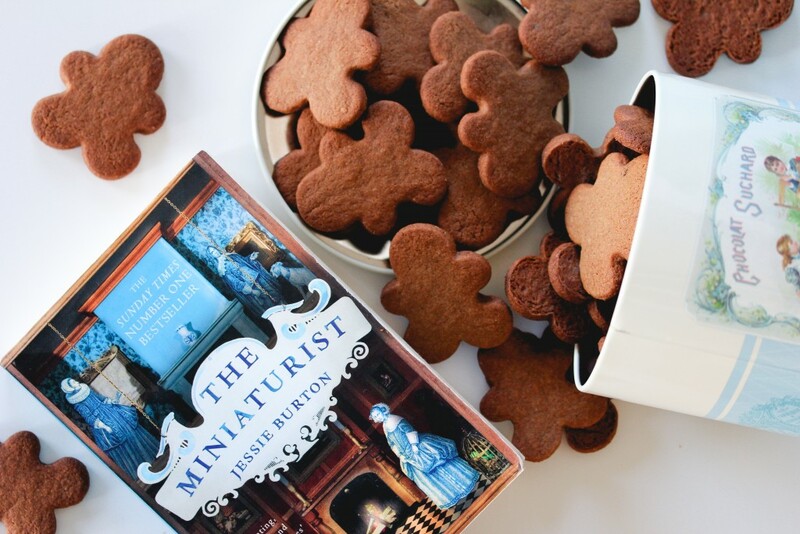 The Miniaturist by Jessie Burton is the latest book to make me feel the Brilliant Book Feeling. It joins Burial Rites in the now two-title club of Terri’s Brilliant Books (or, The Precious Few Books To Which I’ve Awarded Five Stars Since I Started Recording My Reading on Goodreads). Like Burial Rites, The Miniaturist captivated the wanderlust in me – but rather than travelling to the dark, bitter cold of 1890s Iceland, this story takes us to Amsterdam, 1686. It is the Dutch Golden Age, a period in which the Netherlands flourished as the world’s foremost trading and shipping centre. Here we meet a young woman named Petronella Oortman. Nella arrives in Amsterdam to the door of her new husband, Johannes Brandt, who is a wealthy merchant of the VOC (or as we might know, the Dutch East India Company). Johannes remains removed and mysterious to Nella, and she is left to find her own feet in a house of unexpected and not altogether inviting characters. What is more, when Johannes bestows a strange and sudden gift upon Nella – a dollhouse replica of their own house – Nella is enlightened to the even stranger miniaturist, who recreates Nella’s new family in ways that are both extraordinary and frightening. Burton weaves a world rich in history, with characters that are perpetually interesting and surprising. As Nella uncovers the secrets of the Brandt household, so too are readers revealed the intricate design of Burton’s storytelling. Never in one novel have I so often wanted to flip back to page one and re-read all over again with a completely new perspective. 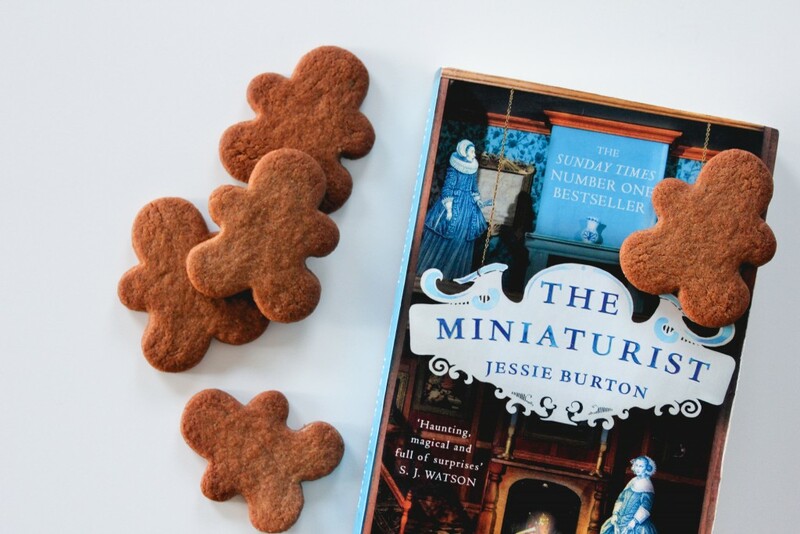 Again in parallel with Burial Rites, The Miniaturist also shapes a tale of strong women, their powerful relationships and a discord in their assumed place in society and history. Top that with the canals and cobbled streets of one of my favourite cities in the world, and you start to understand why I’m all a fluster over this book. 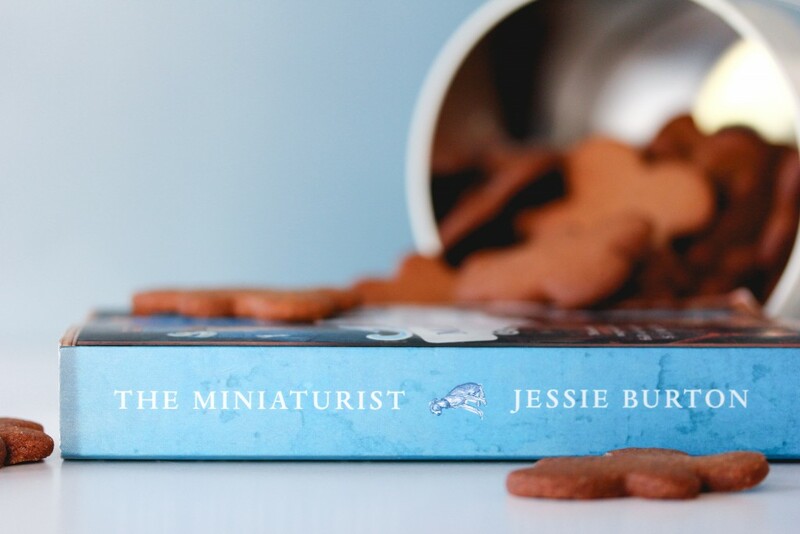 There are many sweet treats that pop up throughout The Miniaturist – and indeed sugar itself plays a hearty part in this story – but I knew very quickly the baked good that was to be companion to this piece. At the time of our tale, the VOC had a total monopoly on trade in Asia, and this was synonymous with the all-important monopoly on the world’s spice trade. It is because of the Dutch Golden Age that spices like cinnamon, nutmeg, pepper and cloves came to feature so significantly in Dutch cooking, and do so to this day. And to me, there is no finer recipe to showcase these spices than the Dutch speculaas biscuit. Speculaas have been a beloved part of my baking repertoire for a solid two years now, thanks to this gorgeous recipe from Irvin of Eat the Love. These biscuits are crisp, beautifully spicy and very, very moreish. I adore them. 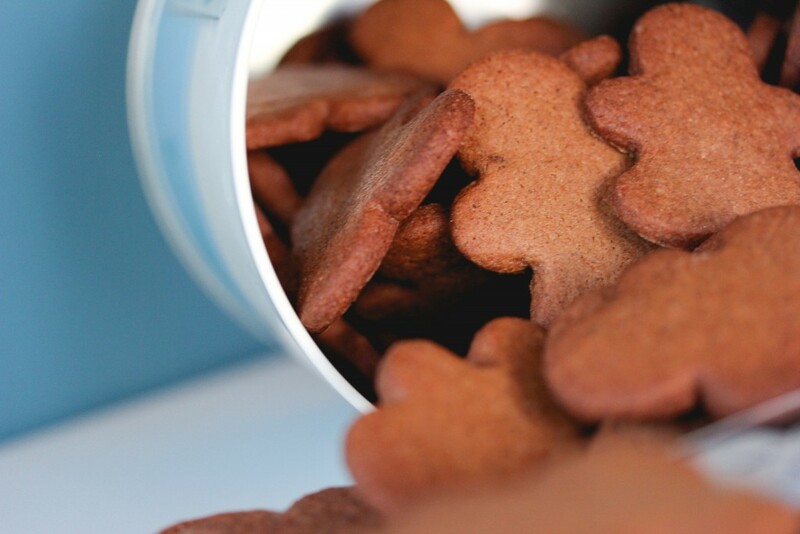 Speculaas are traditionally made for the Netherlands’ St. Nicholas Day at the beginning of December, and usually stamped with delicate images or scenes. Without a special rolling pin or moulds to make such prints, I’ve opted for my stegosaurus (or what I like to call, the speculaasaurus) or Ninja Bread Men cookie cutters in the past. This time, it seemed only right to put my miniature gingerbread man cookie cutter to work. 1. Preheat oven to 180°C. Line and grease a loaf tin. 2. Add cake ingredients in listed order to a mixing bowl and combine using an electric mixer for 3-5 minutes. 3. Pour mixture into loaf tin. Dot the Easter eggs evenly across the top. 4. 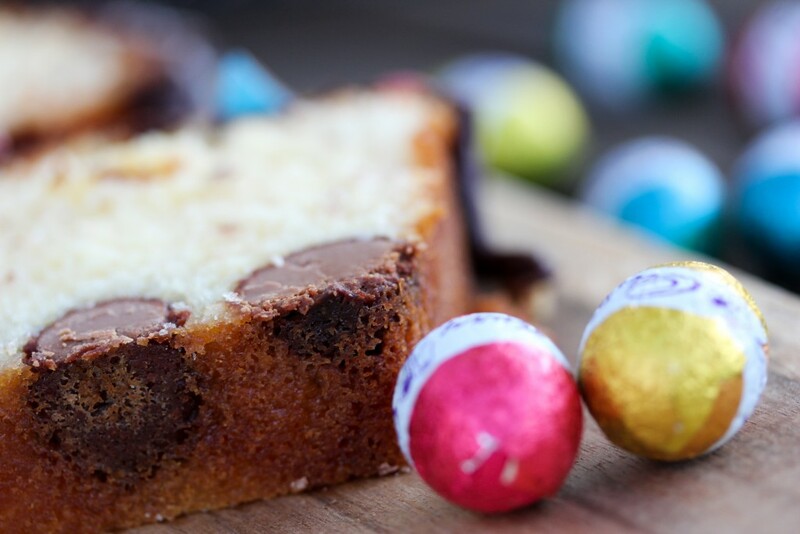 Bake at 180°C for 45 minutes, or until a skewer inserted into the centre of the cake comes out clean. 5. 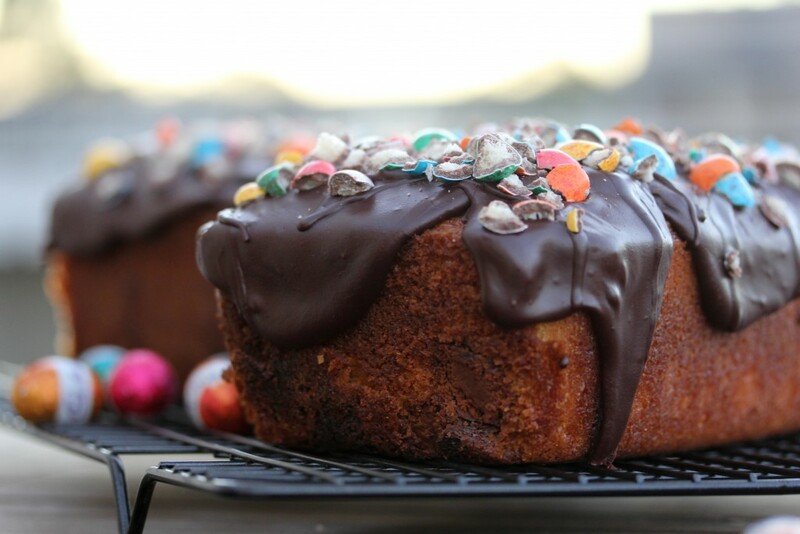 Allow cake to cool completely before icing. Combine icing ingredients in a small bowl, then gradually add and mix in dashes of boiling water until a smooth, spreadable consistency is achieved. 6. Spread icing evenly over top of cake. 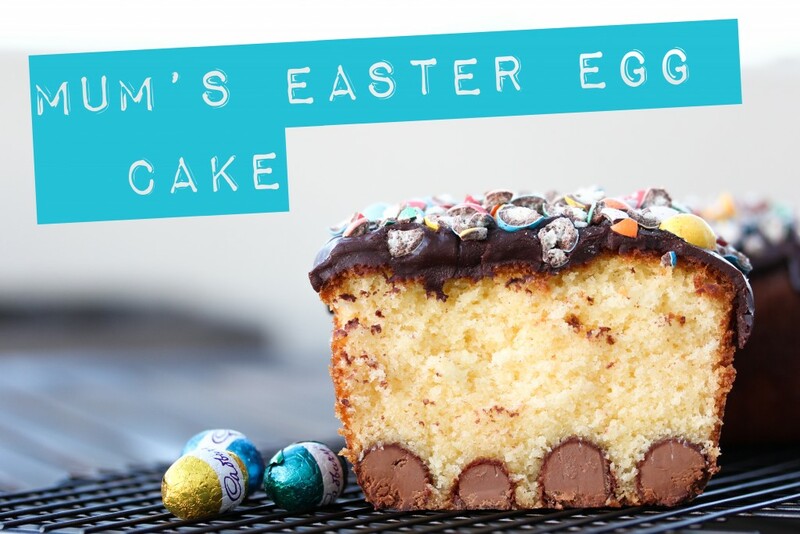 Sprinkle the speckled egg pieces over icing.